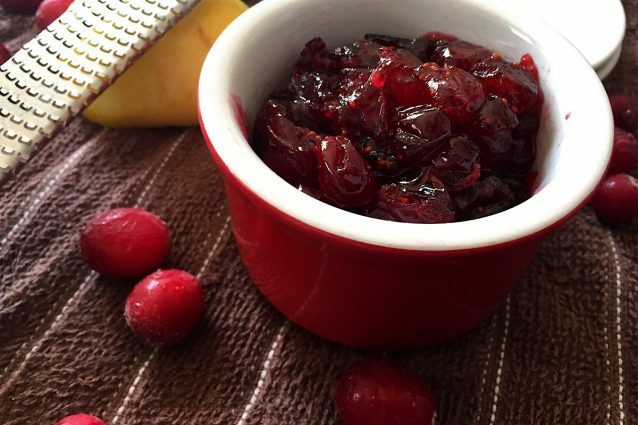 Cranberry sauce is usually found on the dinner table during the holiday's but it doesn’t have to be that way- cranberry sauce is good year round! Yes, turkey with sweet and tangy cranberry sauce is delicious but it is also great as a spread on sandwiches, a topping on ice cream or paired with a bowl of oatmeal. However you choose to eat it, this recipe is quick, easy and tastes great in any number of ways! Place the cranberries in a small saucepot. Add the sugar to the pot and toss the cranberries to coat. Add the orange juice and cranberry juice to the sauce pot as well. Zest the lemon directly into the pot. You should get about 1 teaspoon of lemon zest from one lemon. Bring the cranberry sauce to a boil over medium heat. Lower the heat and allow the sauce to simmer for ten minutes. The cranberry sauce may still look a little watery but it will thicken a good deal once it begins to cool. Serve the cranberry sauce once cooled or store in the fridge for up to two weeks. 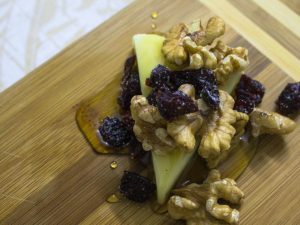 -While fresh cranberries are the best option, you can easily use frozen cranberries in this recipe. 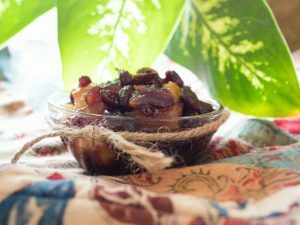 Dried cranberries are also doable but will change the recipe slightly. To use dried cranberries, soak the berries in the cranberry juice and orange juice for at least 2-3 hours or overnight. Proceed with the rest of the recipe as written. -Add a tablespoon of vanilla extract to cut back on the acidity of the cranberries and juice.